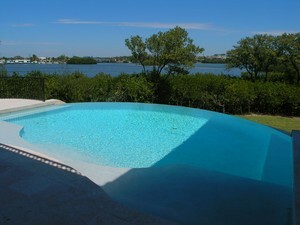 Sarasota is known for having some of the most stunning waterfront homes in South Florida. Siesta Key consistently ranked as one of the top beaches in the US. It is also important to now that some of the adjoining beaches are less traveled and in the same league. Beaches like Lido Key, Longboat Key, and Casey Key have their amenities and feel that also attract the sophisticated buyer. New custom quality built homes are back in this market. In many cases, as land values have increased, the older homes on them are being replaced with newer stylish homes by some of Sarasota's best know builders. Architecture and quality are always standard as buyers of these homes always demand the best. As you would expect, the luxury waterfront market will have romantic views of the water with nightly sunsets for those close to you to enjoy. Custom designed homes will also provide ample dockage for a yacht or other watercraft. These homes have loads of features, and the sky is the limit. Fit, finish, and amenities from around the world are not unusual. Most would acknowledge that a home on the water in Sarasota is going to be the stronger segment of the market. After all, they may be able to build new homes, but they aren't making any more waterfront lots. Today's market represents opportunities we may not see pass before us again in our lifetime. We know how important your time is and are happy to preview any home for you. We can provide additional photographs and personal insight regarding the home and how it may or may not fit your needs. If it makes sense, we will set up a personal tour of any homes listed below at a time convenient to you. Just call us, and we will put out local expertise to work for you. The Ritz-Carlton Residences, Sarasota SubDv.